Discover Tenerife in a unique and special way with our helicopter tour and bring magical memories back from your holidays ! 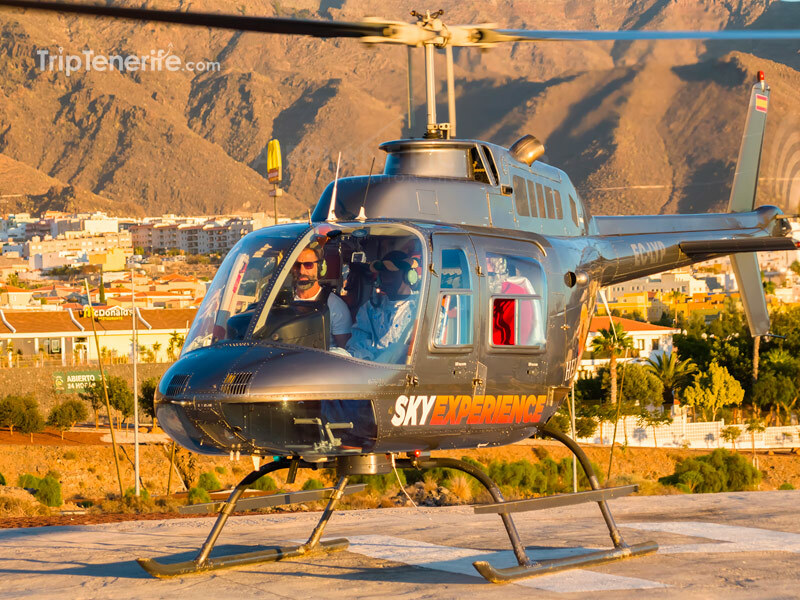 Southern Tenerife (20 km): We take off from the heliport, heading for the ocean, and fly over the breathtaking coastline, ideal to make pictures of the unique and hidden treasures of Tenerife. We will fly over the “Puertito” area, a place famous for sightings of turtles, and continue over the romantic fishing village of La Caleta and one of the island’s best-known golf courses, Golf Costa Adeje. 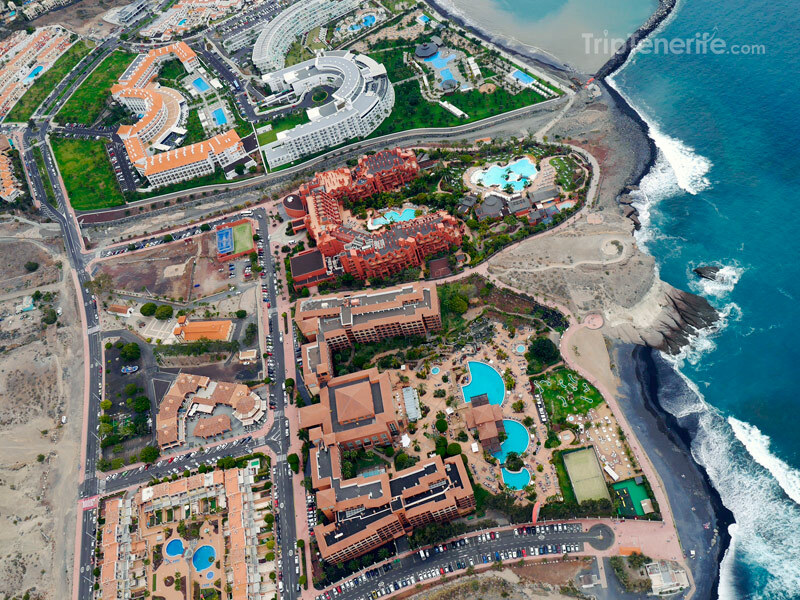 Then we’ll take a look at the resort area of Playa de Las Americas and Los Cristianos. 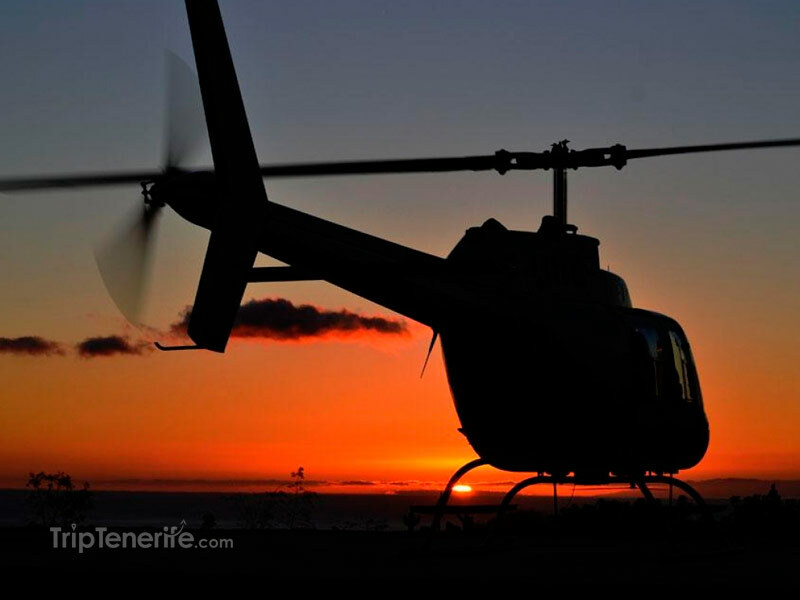 This is an ideal way to enjoy your first helicopter experience in Tenerife. 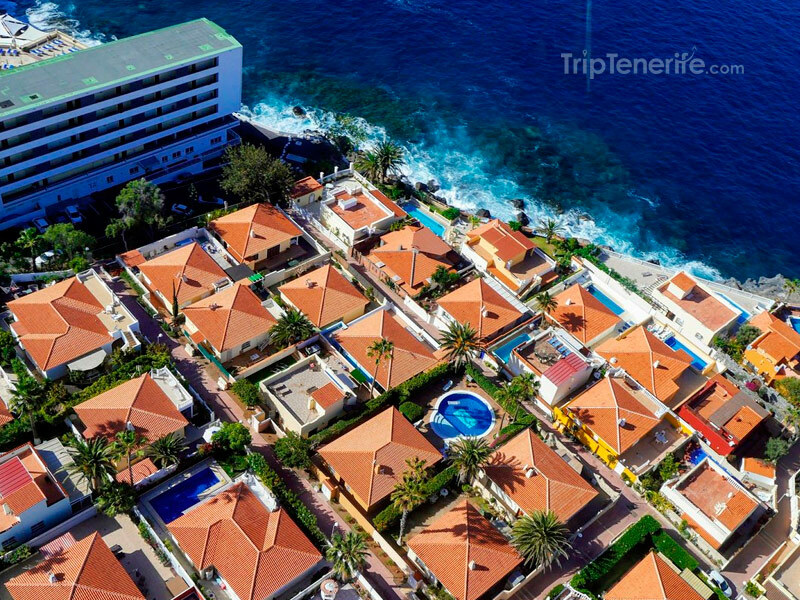 Beaches and Ravines (30km): We will fly over the fishing village of La Caleta, and one of the island’s famous golf courses, Golf Costa Adeje. 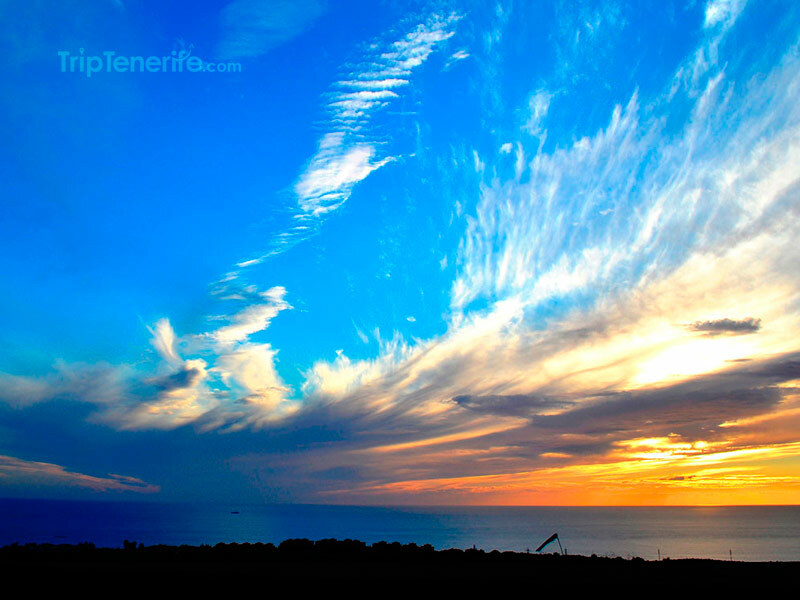 We will also take a look at the resort area of Playa de Las Americas and Los Cristianos. Then, we can look at the volcanic lava at the Guaza Mountain. Get ready to take pictures when flying over Ifonche and its ravines as well as Roque del Conde, to finish with the volcano El Teide, the highest peak in Spain. Los Gigantes Cliffs (50km): Admire and take pictures of the most extreme, inaccessible, unique and impressive nature! After take-off, we will head for the fishing village of La Caleta and fly over the coast around Playa San Juan. We will see the magnificent hotels in Alcalá, which are some of the most prestigious ones in Tenerife. On arrival at Los Gigantes, we can see the colossal cliffs up to 600m high. This breathtaking view is unforgettable. 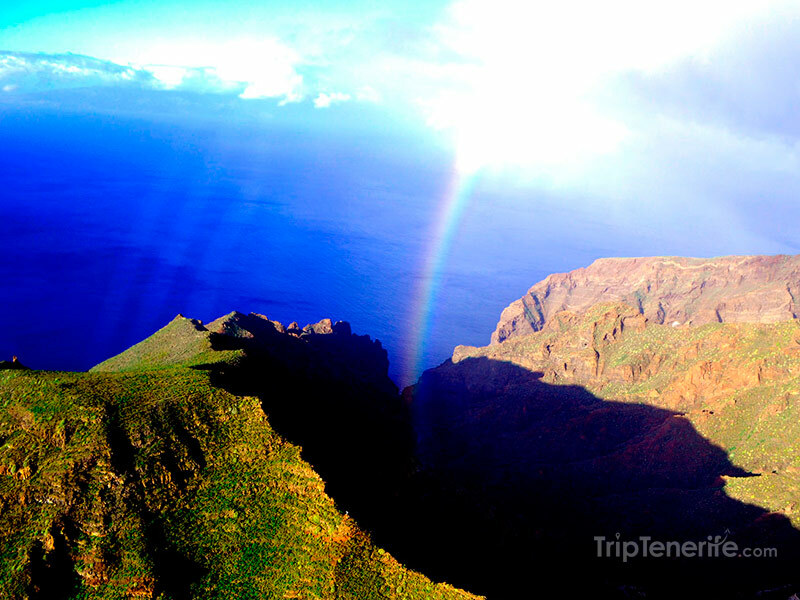 These spectacular precipices are one of the must-see wonders of Tenerife. Full island tour (85km): This is one of the island’s most beautiful flights, combining the southern seascape with the green of the north. We will discover the fishing villages of La Caleta, Alcalá and Puerto San Juan, with their luxury hotels and golf courses. Then, we will fly over Puerto de los Gigantes and its colossal 300-600 m high cliffs emerging from the ocean; this view will take your breath away! Then, we will continue our flight heading for Buenavista del Norte and it spectacular landscape, with predominantly green and ochre colors and lava tongues. We will follow on with Garachico and Icod de los Vinos, where you will be able to admire the millenium Drago Tree. 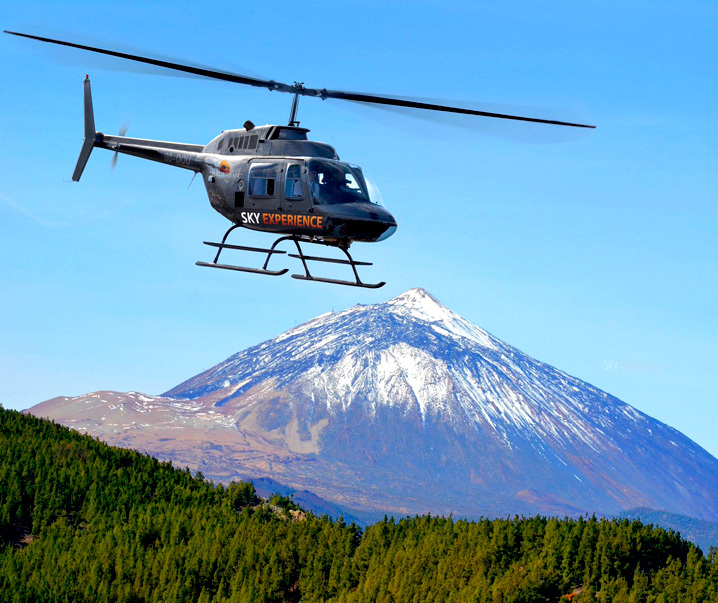 Then, we will end the tour by flying over Teide National Park to contemplate the volcano, the highest peak in Spain. El Teide (120km): Get ready to enjoy breathtaking views of the island’s natural beauty and take unique and unforgettable pictures. We will fly over the Canary Islands’ main attraction; the most visited national park in Europe and second in the world, El Teide. Snow-capped in winter, the El Teide volcano has been a UNESCO World Heritage Site since 1997. It is the highest peak in Spain. We will fly over one of the world’s most spectacular natural monuments and see it from a viewpoint that few can enjoy. You will enjoy taking amazing pictures of the beauty of the wine-growing Orotava Valley, Puerto de la Cruz, as well as the alpine forest of Vilaflor. We will see the lava tongues left in Santiago del Teide by the last volcanic eruption on the island in 1909. On returning to the heliport, you will be given a nice surprise after your flight. During the whole flight, you will be provided with headphones to be able to communicate easily with your pilot, who will bring you full of interesting information about the breathtaking landscapes. His deep knowledge of the island makes the journey not only a true delight for the eyes, but also a very instructive moment. Free Pick-Up and Drop-Off from Los Cristianos to Callao Salvaje. Los Gigantes & Golf del Sur with extra cost (50€). Passengers must have their official ID card or passport. Please wear confortable and warm clothes, as it can be cold. You MUST specify each passenger’s weight at the moment of booking. Children under the age of 2 travel with parents; they must travel in the same seat as the adult accompanying them, using a special seatbelt. Children over the age of 2 pay full adult price and travel in their own seat. Passengers exceeding 110 kg must book two seats in order to equally distribute the weight. We take the los Gigantes tour and it really was impressive, about 20 minutes, we see the Adeje Golf and go over the south to the cliffs. If we came back to Tenerife, I’m sure we’ll do the teide tour!